1Department of Engineering Science, University of Oxford, Parks Road, Oxford OX1 3PJ, UK. 2Department of Anatomy and Cell Biology, the Uniformed Services University of the Health Sciences, 4301 Jones Bridge Road, Bethesda, Maryland 20814. 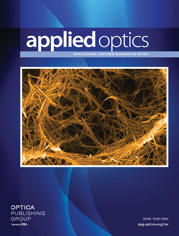 This feature of Applied Optics includes 18 original papers on theoretical and experimental aspects of confocal microscopy and its application.